Dance, Dance, and Dance some more! 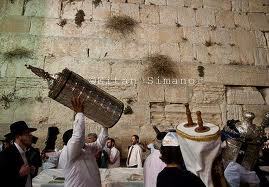 It's Simchat Torah, what elses are you going to do? Yes, technically it's Shmini Atzeret, the Extra Texture Festive Day added on to the holiday of Sukkot. And the Avodah (Order) of the day? To sing and to dance, to put your feet in the drivers seat, to trust in Divine Guidance and Protection -to give it up to G-d. So what if we're singing and dancing so much we don't eat and don't sleep? Would YOU stop playing if your gig was before the King of the World? Well folks, .we've got this great Gig before the Ribono Shel Olam, The KING of THE WORLD. all you need is to lift your voice in song, and to put on your dancing shoes! As for the Radio? We'll be here after Chag, to soothe your tired feet and sore muscles and bones, but until then? From Another World to This World - The Homegrown Way! Tonight's HOMEGROWN HOUR features music from Paul Robert Thomas "The Lyricist," a new song from Kyra Simone ("The Face of U.K. 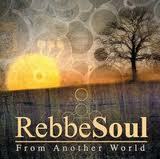 Soul") and the long-awaited Radio Free Nachlaot debut of RebbeSoul (Bruce Burger)'s new album "From Another World," inspired by the music of Reb Shlomo Carlebach zt"l.
That's a whole lotta new music to roll! But we can do it, you can do it, we can do it together! 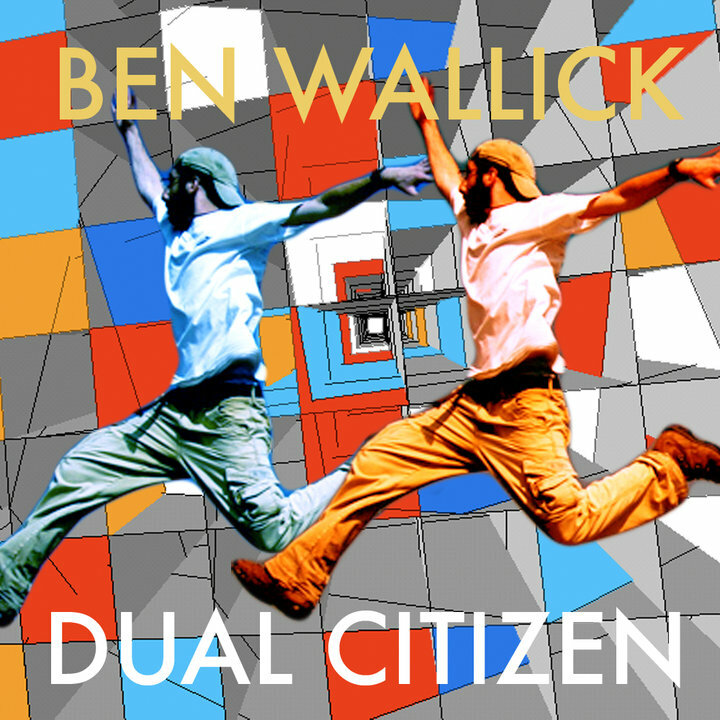 Don't bogart that great new music my friend - pass it round and let's enjoy it together, again! THE HOMEGROWN HOUR - 7pm Jerusalem Time tonight! Monday at Moshav Modiin - The 5th Annual Moshav Country Fair! 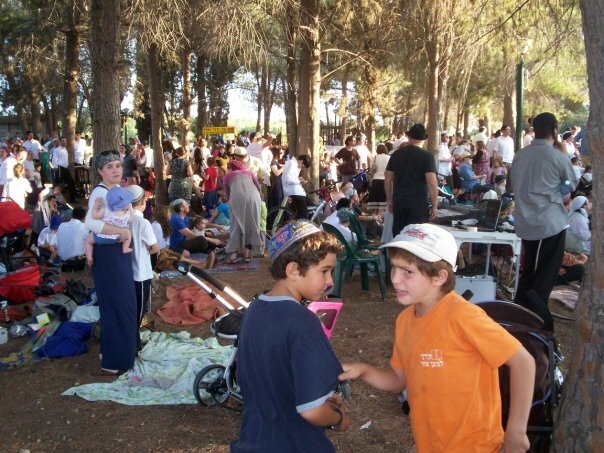 It's Chol haMoed Sukkas Monday and that means Radio Free Nachlaot is on the road, broadcasting LIVE from Moshav Modiin in Israel, home of the annual Moshav Country Fair and Ground Zero for All Fun today! 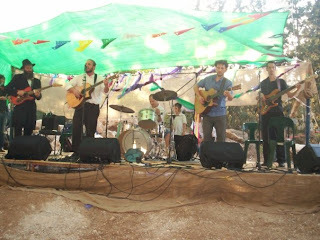 These pictures are from Lorelai's pics of LAST year's Moshav Country Fair - but it'll look a lot like this! Hurry to the Moshav for the best and most fun day of the year! Sukka! Sukka! Sukka! Were you at the Kotel today? Were you blessed by a Cohen today? It's a new day, and although the Mitzvah is that the Cohen should bless the nation, it is part of the 2-way street to receive the blessing, as well. 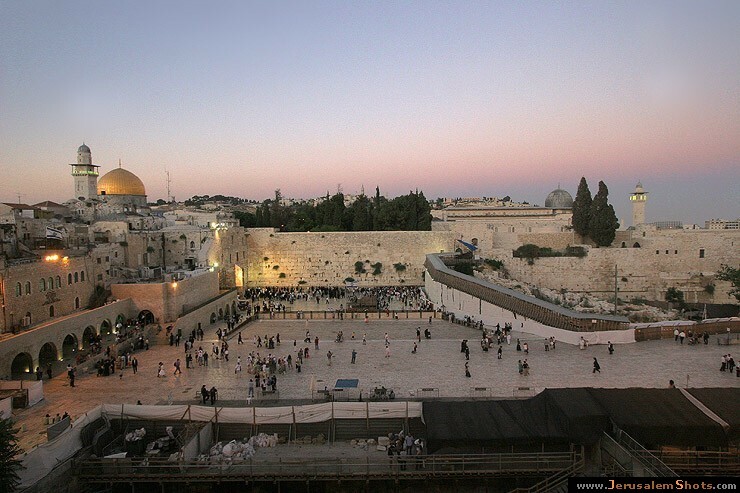 May Hashem turn His countenance to you and establish peace for you." ...and may we be there to entertain you! 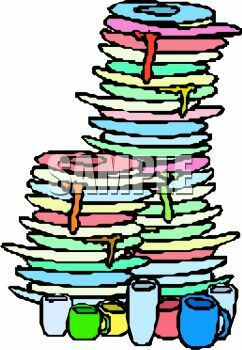 3:00 PM - Lorelai will return to the air waves - sans voice, but she will program the heck of a radio show all day and all night long! Monday - we will IY"H be at the Moshav Fair between Noon and whenever -- If we can broadcast the live performances, we certainly will, but IY"H I (Steve) will be at the Fair - come say hello!!! Tuesday - 7:00 PM - Homegrown Hour this week featuring new selections from our friend Paul Thomas' new album The Lyricist. Stay tuned right here for all your programming updates - reality is changing all the time, you know. 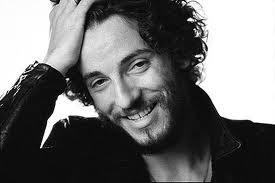 Chag Sameach and HAPPY 61st BIRTHDAY BRUCE SPRINGSTEEN! We've been in our Sukka, surrounded by the clouds of Glory - and it's been glorious! We're coming down for a few hours to play our Birthday Tribute to "The Boss" - yes, that's Bruce Springsteen, whose 61st Birthday is today (September 23rd). In studio with us is Israel's uber-Springsteen fan "Nachman Natan," who has a playlist and more than a few stories to tell about his musical hero - let's listen together a little tonight - and send out our best birthday greetings from Jerusalem the Holy City to The Boss in New Jersey! It's Sukkot. We're leaving our house (and our studio) to bask in the Ligh of the Divine in our temporary dwellings, our Sukkas - protected by the Grace of G-d, alone. May the Sukkah of Peace be spread over us, and all Israel, and may the whole world know that G-d is One, and His name is One. Stay tuned for Special Sukkot Programs happening all week long, beginning Thursday Night with a special broadcast from Lorelai's undisclosed Sukkah (not so) high above undisclosed Studio A. Yes, Lorelai will be up on the roof, in her Sukkah under the stars to kick off our Chol Hamoed festivities. Be there! It's already Tuesday afternoon - Chag is coming! ...and the sound of people building sukkas, buying lulav and esrog, shopping fills the air. It's a Festival - it's all festive. 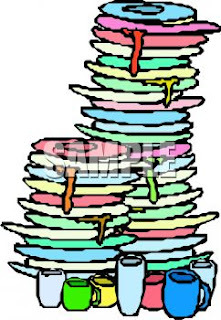 after 9Pm - Steve will be Cooking for Yom Tov -- or at least he figures you will be, and you need some music with which to cook - don't you? That's Maya in the Morning, of course! For now, at least, it looks like the Tuesday AM 9-11 slot is Maya's new home on Radio Free Nachlaot. And today, come join us, for a special program from Studio B, and you know what that means - Maya will not be alone, at least not during the 10:00 hour. Steve (who is rapidly turning into "Guy Smiley" -remember him (America's favorite TV Talk Show host) will spend the 10:00 hour getting to know Maya -- right here on the radio! Let's all join in and make the newest memeber of our broadcasting team feel welcome and at home. ...and the rest of the day? It is still scheduled to take place - all day long! It's morning people - Log on, Tune in, and WAKE UP! We're on the "Chag" schedule, meaning some of our regular programming is still scheduled and some of it is not, made even more so by travel, colds and fevers, doctor's appointments and other interruptions. But: The Show Must Go On! Today is Lorelai's "Days Between" - probably the only FULL day of programming she'll do all week due to all of the above - and although she'd like to squeeze everything she'd like to play for you into one 24-hour period, that just isn't going to happen - our SAM Broadcaster can't handle it! But we didn't want to let the week go by without commemorating some important dates in Musical History. 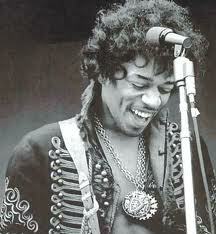 We missed Jimmy Hendrix's yartzeit (it fell on Yom Kippur this year) and so, we need to play some Jimmy. How could he have been gone this last 40 years? 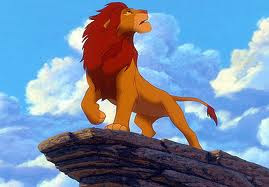 We've all gotten older and more in the way - but in our memories he's still sleek, beautiful, magical. 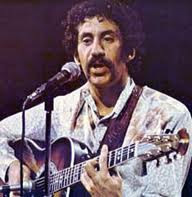 Speaking of Photographs and Memories - it was on this day in history that singer/songwriter Jim Croche died (1973). There was a talent that REALLY prematurely left the planet. We'll hear from him a bit today too. Speaking of people who just WON'T die, no matter how much they try, it was on this day in 2006 that Keith Richards announced he was kicking drugs forever, because "nothing is strong enough." Hmmm. Do we actually believe that? It dosen't matter - Keith is like a cigarette that was lit and left in an ashtray to burn out - he's got the basic shape of a human but inside, he's all ash. Still, we'll hear Keith's solo album "Talk is Cheap" and let's hope his resolution to keep away from powdery white substances lasted more than 24 hours. On the other hand - it's VERY hard to kill the Undead. Leonard Cohen - the Cohen Gadol of singer/songwriter/poets, has his 76th birthday tomorrow. Gevaldt!!! Although Lorelai is sure Steve will play SOME Leonard Cohen - maybe even a lot - she still wants to get her 2 cents in. We'll hear a little Leonard as well today. 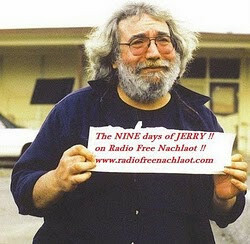 1:35: Keith Richards "Talk is Cheap"
Enjoy your musical day/night with Radio Free Nachlaot - and by the way, Jerry Garcia's old home is for sale for just under $4 million dollars! Having done the math (4 million divided by 1307 Facebook Friends of Radio Free Nachlaot) we could BUY the place for about $3K each and use it for RFN's California HQ while traveling, and our friends / fans can stay there (time-share style). How about it? Write to us at radiofreenachlaot@gmail.com and let us know if you're in! It's Sukkah building time, everybody! We're building a building - a temporary building -- but we've all been invited - that's right, we've all been invited to come dwell in Hashem's home -- the Sukkah that we build. Shlomo used to say that at Neilah - the last prayer of Yom Kippur we're all given invitations to Hashem's Sukkah. 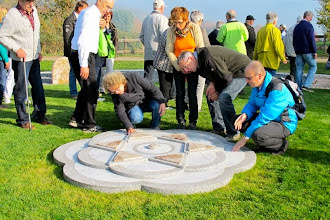 But this, as with most of the way we follow the Torah and connect to Hashem is interactive. If we want to make good on the invitation, and come dwell in Hashem's Sukkah, we have to build it first! 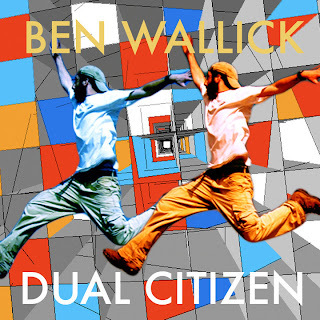 So that's what we're doing, building our Sukkah -- and the music, right, the music -you can't forget about the music - well, we have some down home good Sukkah building music right here for you, all day long. Just take your laptops and speakers out to your sukkah site, and let us do the rest! hey, we didn't get there yet, did we? Don't forget - Tonight -8pm - Lorelai and Steve - Sunday Night Live! A Gut g'bencht Y'or - A Good Winter! "May it be your will Hashem, our G-d and the G-d of our forefathers, regarding this year that is coming upon us and Your entire people Israel wherever they are, if it must be hot, let it be rainy. Let not the prayer of wayfarers enter your Presence regarding rain - at a time when the world needs it. 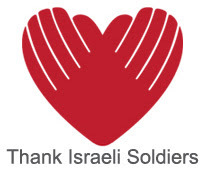 And let not your people Israel depend on one another or on any other nation for its livelihood. Let it be a year in which no woman will miscarry, in which the trees of the field yield their produce; and in which sovereignty will not be removed from the House of Judah." What more can we say. I'm confident that we have received a good judgement. 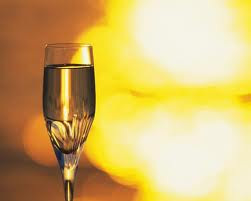 Let's act like we have -- it's a New Year -- a time to do all that we've meant to do, and more!!!! It's also Motzoei Shabbos, which means our Melave Malke --> Saturday Night on the radio has to reflect the power and the energy of the Day -- I mean, how could it not? Shavua Tov, Good Year, and as Shmiel would say, "a good winter!" Yom Kippur - the Day of Atonement - At One-Ment ... we've been with the King in the Field during Elul, we've crowned Him King on Rosh HaShana, and now, Yom Kippur - we receive from Our Father, Our King forgiveness, strength, mercy, kindness, bounty and everything a loving Father Who also happens to be the King of the Universe would want to give His children. Yom k'Purim - a day like Purim - how is it that Yom Kippur is "a day like Purim?" There's a lot that is written on the subject we won't go into here. But we will say that on Purim we wear masks, and on Yom Kippur we stand unmasked before the King of Kings. May we each go in and come out shining. See you on the other side. G'mar Chatimah Tova from Radio Free Nachlaot! 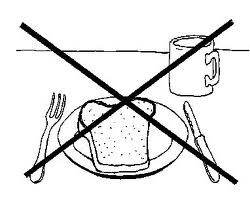 At least until Motzoei Shabbos - Motzoei Yom Kippur. 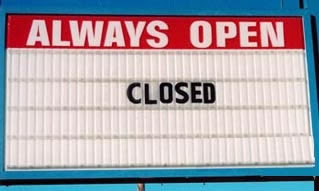 We are Closed for the most Awesome day of the Year, Yom Kippur. May we all be cleansed in the "Mikveh" of the Day, come out Attoned, forgiven (by HKBH, Others and OURSELVES) and all reved up with Everywhere To Go!!! It's our world, It's our Life - LaKachat (as they say here) to GO --Life to Take Away. And with G-d's Help, and Blessing, may we head down the direction each of us needs to go - of course, shlepping along our internet connection, blackberry or I-Phone so that Radio Free Nachlaot will be there with us, every step of the way. 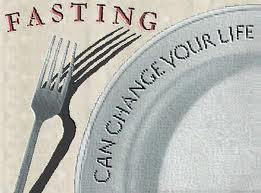 Have a meaningful, and easy fast. Now that sounds like an oxymoron. Cooking for a fast (not fast food, mind you) -- but, actually cooking for the fast. 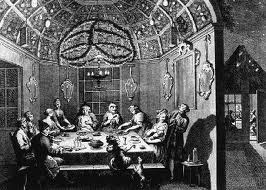 We're told that eating on the eve of Yom Kippur is like fasting on Yom Kippur. We must be prepared, not just spiritually, but physically. Prepared to fast. Prepared for the Shabbos of Shabboses -- the Holiest of Holy Days. Let's prepare for this Awesome Day together -- Music, Talk and Torah, right here at Radio Free Nachlaot, starting at 9pm right on through until about 2/3 pm Friday afternoon. We're going to stand tall in front of the King of Kings, and walk away Winners! You know it's true. We just have to go in to the palace, into the court, in the right State of Mind. 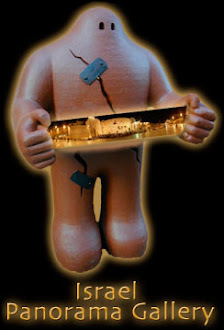 Remember - Nachlaot: Not just a neighborhood, a State of Mind. Gmar Tov. Have a good Finish -- and an even better Start! It's a Grateful Dead Rosh HaShanah! For Lorelai, the happiest night of the year is always the night that Aryeh Naftaly and The Elevators do their Grateful Dead tribute concert in Jerusalem. The Time has come! 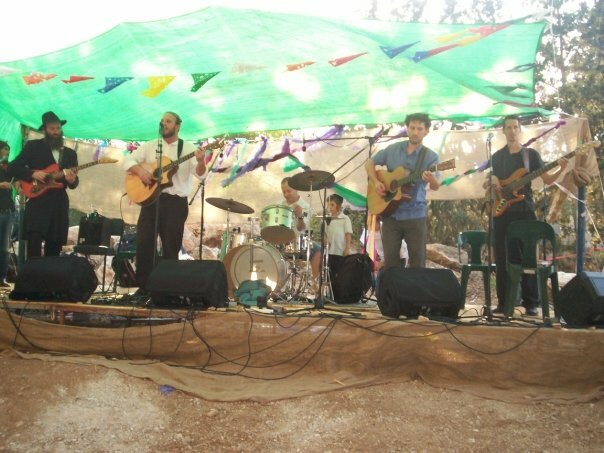 Monday night at Caanan (15 Shamai in Jerusalem) Aryeh and the Boys will give it all they've got and we'll be in that magical space again. 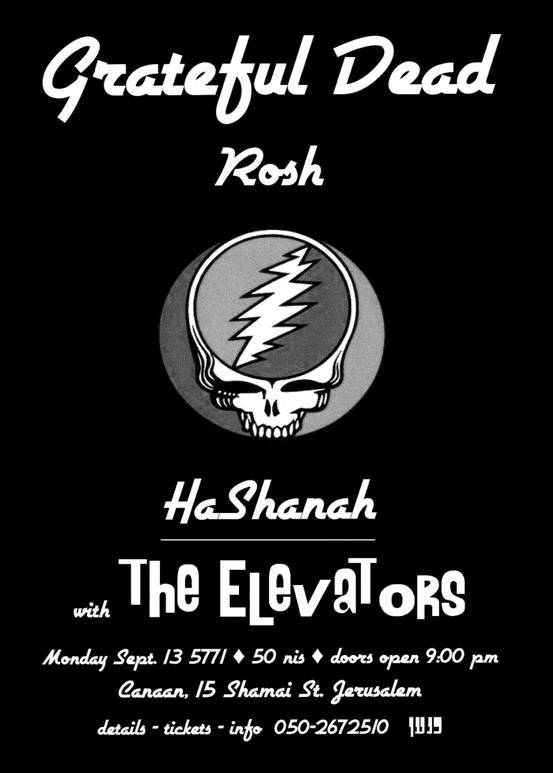 No one does Grateful Dead like Aryeh Naftaly & the Elevators - and rumor has it our friend Drew Tick (who was one of our special guest DJ's during "The 9 Days of Jerry") will be playing with them as well. Doors open at 9pm, and if the previous three years are any precedent, the show will start later. 2:00am - Mark O'Connor, Edgar Meyer and YoYo Ma "Appalachian Waltz"
4:15am - Coldplay "A Rush of Blood to the Head"
5:15am - Christine Lavin "The Subway Series"
6:30am - Shoshanna Piano's "Deepheart Journey" and "Gifts from Heaven"
At 8:30 we'll hear Rebbe Nachman's "Tikkun haKlali" and then a few hours of Lorelai's "Morning Dew for the Morning Jew" mix ... ULTRA eclectic this morning, a lot of stuff from The Vaults! On our "Israeli Soul Afternoon" we'll have music from Eyal Golan, Israeli Supergroup "Tammuz" (they were the Beatles of Israel during the '70's" and HaDag Nahash interspersed between Torahs - 1pm Rebbetzin Rena Richman's "Bat Melech" Series continues with "The Shofar Speaking," 3pm Rav Avraham Sutton's series on the Jewish Holiday Cycle continues with his pre-Yom Kippur shiur, and at 5pm we'll hear from Rabbi Chaim Richman's "Light Unto The Nations" Show, the topic: "Who is Like You?" At 6pm we'll play the extra-long extended version of The String Cheese Incident - 12/31/2004 from Radio City Music Hall, and believe it or not, that's so long it'll take us right to 11pm, when we'll have The Grateful Dead from October 2nd, 1977 at the Paramount Theater, followed immediately by The Grateful Dead from October 11, 1977 at the Lloyd Noble Theater, University of Oklahoma. Yeah, we got your back. 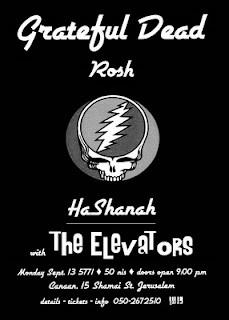 If you can't be in Jerusalem tonight to go see Aryeh Naftaly & The Elevators "A Grateful Dead Rosh HaShana" we can at least play you two Rosh HaShana-period Dead Shows from 1977 - Lorelai's favorite year for Dead Concerts! We are fasting. We are mourning the assassination of Jewish Leadership. Perhaps instead of just asking, where have all our Leaders Gone? we should be looking to the Torah as our guide, and inside ourselves as the ultimate source of leadership. How am I leading myself? My Family, My friends? Is it the blind leading the blind? Am I just following along? Things to contemplate while fasting. ....and if we are really serious, then our fasting will be worth while, wouldn't you say? However, while we contemplate "life" let's not forget that Music and Torah will lead us forward, and accompany us as we travel on -- and, that (at Radio Free Nachlaot) is is our job! 12:30 - An extra long "Shot of Shlomo." 8:00 Sunday Night Live - with Lorelai and Steve and special guest(s)???? "If I died, would Gedaliah fast for me?" You know, I think I'm starting to understand. If I am making a difference, and the difference is noticed when I die, then perhaps "they" would fast for the difference - not really for me, but for the difference that I represent. We can all make a difference, Let's Make a Difference, everybody!! Added to the "Book of Life"
Shana Tovah - Shavua Tov! Ok, so we've crowned THE KING, we've prayed for the whole world (including ourselves) to be written in the Book of Life - we sang, we danced (which is how you get written in the Book of Life), we celebrated Shabbos, and now, we have dishes to do, and a Melave Malke to get underway. Back to Life? no -- On to a New Life? Absolutely! 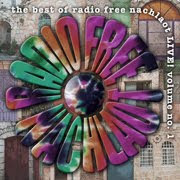 -- and once again let Radio Free Nachlaot provide you with the soundtrack to your life -- where Shlomo meets Jerry and all the musical roads in between, let's do those dishes, and let the music make them, and all creation Shine, Shine, Shine. Happy New Year 5771 from Radio Free Nachlaot - We're Off The Air for 3 Days! 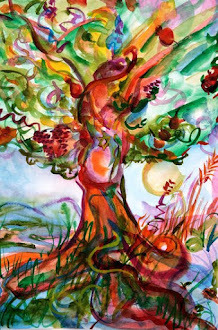 Wishing all of our World-wide audience, friends, family & fans a healthy, happy, prosperous, abundant, transcendent, joyful and magical New Year 5771 - which begins tonight at Sundown - Rosh HaShana is a 2-day holiday of course, and the minute it's over Shabbat begins, so (for the first time ever in Radio Free Nachlaot history) we'll be OFF THE AIR for 3 days! We'll be back Saturday night, G-d willing. Shana Tova uMetuka - with immense gratitude to HKBH for our families, friends, fans, health, homes, community, and for letting us "play radio" with YOU. Rushing Towards Rosh HaShana - We're Going To See The King! I mean, if the Dead were in town, or Shlomo, or the Beatles, we'd be up early, standing on line, up and ready to go -- Well guess what people - The King's been in the fields, and the King is coming our way!!! What an exciting time it is!!! We've had the Dead, and Further, and Return to Forever, a special edition of Jerusalem Calling, Rav Poupko on Rosh HaShonnah, and the Jerry Garcia Band. Jerry Meets Shlomo as we get ready to meet the King! 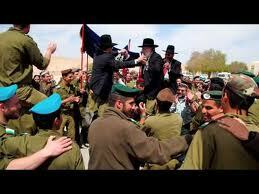 Happy Rosh HaShonnah - Happy Life everybody!!!!! Mary, Mary, quite contrary, what does your garden grow? Ok, forget about Mary, what does our garden grow? Our garden grows Music. And what makes our garden grow? All the Mp3 files, signed, sealed and delivered to us from our friends for all of our listening pleasure. Remember that story about the two types of people? The Farmers and the Musicians? And when they meet they have a gig? Well here we are, Farmers and Musicians, ready for the harvest, ready for the gig. New friends Monica Chapman and Orly Vardy and Ben Wallick along with our other friends, Meira Miriam Bet Dovid, Shayna Bracha Farber, Yerachmiel (Rocky), Yaakov Yisroel Costello, Sasha Rose, Paul Thomas, to name a few. Coming Soon we will have a "Homegrown" page for you with more information about and links to all our Homegrown friends, but until then, we'll just have to let the music play! Remember, today's show will be on between 8 and 9 PM - Jerusalem time. What makes the Homegrown show go? Mp3 files sent from all over the world to Radiofreenachlaot@gmail.com. That's what makes it go!!!! Something Old, Something New, Something Borrowed, Something Bluesy - The Last, The Very Last Tuesday of 5770! Tuesday on Radio Free Nachlaot - the last, the very last Tuesday of 5770 - we're bringing you something old, something new, something borrowed and something bluesy. What's old and yet surprisingly fresh? 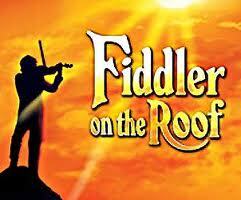 The Broadway Cast Recording of "Fiddler on the Roof," that's what! Surely Steve is very sorry he sourced this music and gave it to Lorelai, who has now played it three times in the last 36 hours ... but |IT'S JUST SO GOOD!!!! I CAN'T STOP!" What's new? "MAYA IN THE MORNING" - our newest Guest DJ Maya Yakaov - brings her high energy, enthusiasm and love for music to the airwaves Tuesday Mornings from 9am - 11am. 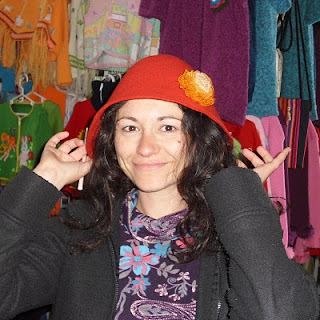 Today we heard Queen, Joe Cocker, REM, Pearl Jam and more ... Maya is fluent in Hebrew, Russian, Spanish and English but for now her show is in English - don't you think it would be fun to have an all-Hebrew music show? What's borrowed? 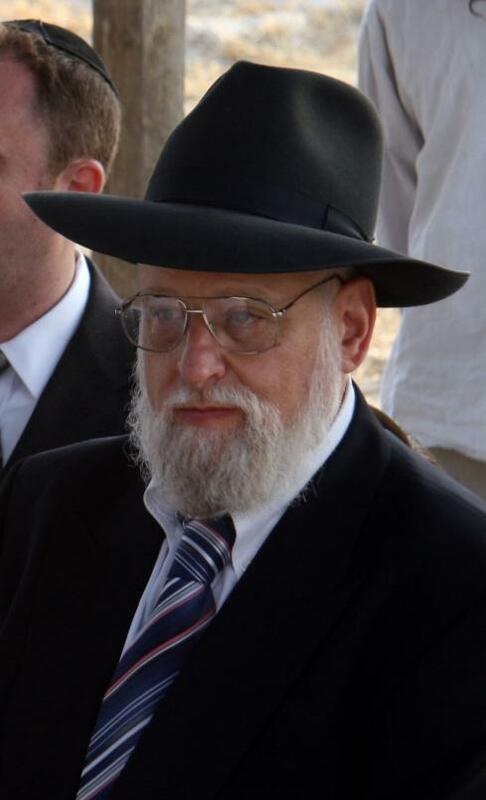 Rabbi Yaakov Moshe Poupko! 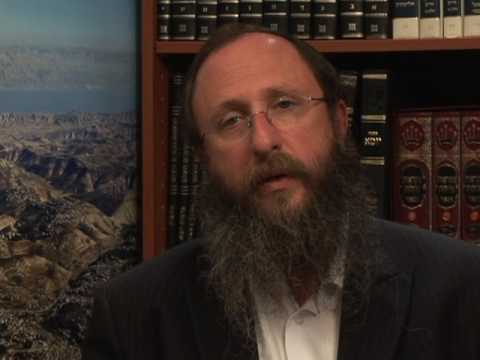 We're deeply honored to have Rabbi Poupko live on-air with us at 7pm this evening, Jerusalem Time, to bring down and give over some very special Rosh HaShana Torah. We don't want to brag but Rav Poupko is not only an internationally respected and much sought-after lecturer, former Rosh haYeshiva, scholar and gentlemen but he's also one of Lorelai's very first Torah teachers in Jerusalem and the kavod-o-meter is going off the charts! Blusey? How about a little B.B. KING? B.B. King's Blues Summit will take you higher! Playing at 12Noon, Jerusalem Time. Music from Oren Levi and Oneg Shemesh all afternoon in-between shiurim! At 8pm we'll have THE HOMEGROWN HOUR with music from ... oh yeah, you'll have to stay tuned for that information! It's a Mitzva to Be By Your Rebbe on Rosh HaShana - If You Can't Be By Your Rebbe We'll Bring Your Rebbe To You! Everybody knows that on Rosh HaShana a person needs to be by their Rebbe, right? That's why so many people (well, men anyway) go to Uman every year at Rosh HaShana - to be near their rebbe - Rebbe Nachman, of course. That's where our own Ozer Bergman has gone this week (with hundreds of thousands of his closest friends) but don't despair, folks - nobody has left you "home alone" with no Torah - gevaldt, we're going to the literal ends of the Earth to bring down the highest of the high ... which started last night when Rabbi TOVIA SINGER, founder of Outreach Judaism and author of the new book "Let's Get Biblical" joined Steve and Lorelai in-studio for one of the most fun, inspiring, original and lively versions of our "Sunday Night Live" Show that was better than - a pot full of cholent, for sure! But that's not all - no folks, we're going all the way in this very short pre-Rosh HaShana week - Lorelai is schlepping across town to tape an exclusive Radio Free Nachlaot interview with Rabbi Chaim Richman which she'll play this afternoon, G-d willing, and then schlepping back to Undisclosed Studio A to meet with Rav Avraham Sutton, who will be LIVE with Lorelai around 12N today, Jerusalem time. our Facebook Fan Page throughout the next couple of days as we continue with our quest to bring you THE BEST MUSIC, TALK & TORAH LIVE 24/6 (except for Shabbos and Chaggim!) FROM JERUSALEM TO THE WORLD! Oh yeah, don't forget - we asked our listeners to record their own personal Rosh HaShana greetings and email them to us (MP3 or .WAV files are just fine) and we hope to receive enough of them to play them on Wednesday (which to us will be like Friday this week). Don't be shy! Pick up a microphone and say Hi! Email your audio files to us at: radiofreenachlaot@gmail.com - we want to hear from you! Shavua Tov - Good Week, Good Year! Radio Free Nachlaot. Where Jerry meets Shlomo and Shlomo meets the World. We're your World-Wide Neighborhood Radio Home. Join us tonight for a Melave Malke - just like if you could walk over and sit with us in our living room - we'll have Shlomo, and some talk and Torah, and then more music to lead us to Selichos. 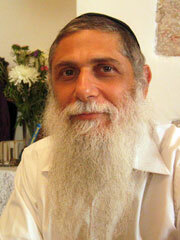 And for those who can't make it to Shul, we have Shlomo's Selichos for you, on the Radio. The point is that when it comes to HKBH - The Almighty, no one, that is correct, NO ONE is left out. How can we not try to include everyone?? How can we not???? Shavua Tov, Shanah Tovah to eveyone. Oh, and by the way - music for tonight will include (between Selichos and Selichos) a Double Dose of the Dead -- first, From the 100 Year Hall in Frankfurt, Germany - 4/26/72, and then after a Torah on the Parsha from Rabbi Richman, The Grateful Dead from the Cap Center, 9/2/88. Remember, Sunday Night Live at 8PM will feature Tovia Singer. You don't want to miss a word of that show, trust me. Thank G-d It's Friday. Time to put the week behind us. Time to Refresh. And for you that still have Shabbos preps to finish - a special treat! At 11:15 'ish, The Grateful Dead from Nassau Coliseum, 9/7/73. And by the time the show is over, you should be ready to sit back, enjoy the Radio Free Nachlaot "Not for Kids Only" Childrens' Hour (3-4:30)-today featuring music from the Lion King, and then we'll be able to dance down the road to Shabbos with Jerry, and Shlomo, and whichever friends decide to dance along. As my Rabbi used to say, "when you're walking on a good path, you meet good people." Let's stay together, let's walk together down that road to Shabbos. ..and don't forget -- Saturday Night, Motzoei Shabbos - not only will we have a Melave Malke on the air, but IY"H we will have Selichos with Shlomo starting at 12:00 Midnight. 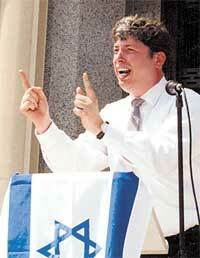 Ok, i know you'll be in shul, but maybe someone else can't make it? No one should be left out!!! No one should be left out!!! 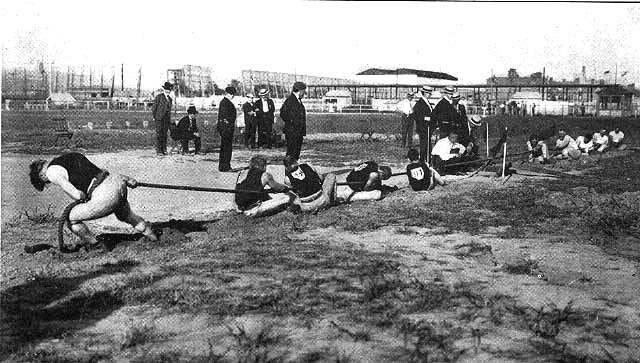 It's a Tug of War - Good or Bad? Dark or Light? Happy or Sad? Songs of Love, Songs of War. Songs that say stay and songs that say go. Do we sound in conflict over here? Well, how are we supposed to be, if not in conflict? it's Elul!! Well, here's what I've been thinking. We all have to prepare for Shabbos, right? and the holiness of all that comes in the week after Shabbos, comes down on Shabbos, right? So that's it -- let's just do It RIGHT! Let's bask in the light of the world to come - taste it, feel it, and bring it on Home. Oh, and the Music? 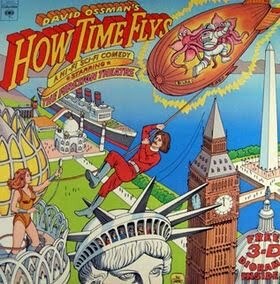 The Soundtrack for while we're getting ready? That's our job. We will play to our conflicts so we can figure this whole thing out. May all our decisions be sweet, tasty and satisfying. May our conflicts be resolved (or at least go away). May we Let the Music Play!!!! When Did Wednesday Become Thursday??? I mean, wasn't it just Thursday last week when we were getting ready to Premiere our Holy Healing Show with Dr. Liebe? Wasn't it just Tuesday when we had Shiatsu on the radio, a visit from Ronnie Vance, and our second weekly Homegrown Show? Wasn't it just Wednesday when we introduced you to Maya in the Morning? hmm - I guess it IS Thursday, already.